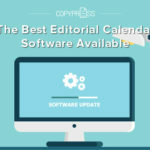 Whether you’re a master content creator or a search engine optimization (SEO) ninja, you know that website errors and indexing issues can spell disaster for your site. So how can a site crawl analysis help? 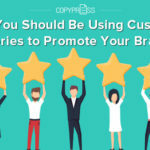 Find out why a site crawl analysis is so important in “How a Site Crawl Analysis Can Improve Your SEO,” the latest whitepaper from CopyPress and WooRank. How Much Do You Really Know About Site Crawl Analysis? The nice thing about this whitepaper is it doesn’t matter how much you know about site crawl analysis. But if you’re diving into this topic for the first time, you’ll definitely want to read the introductory section at the very beginning. You’ll learn what a site crawl analysis is, how Google’s site crawlers analyze your sitemap, and why site errors are such a big problem for site crawl analysis. If you’re already familiar with the basics of site crawl analysis but you’re not sure who does it best, you might want to skip ahead to the section about WooRank. In this whitepaper, you’ll learn why WooRank is a top choice for site crawl analysis and how this service presents site crawl issues in a way that’s easy to understand, even for newbies. You’ll also find out how WooRank integrates SEO audits and monitoring into its services to help you improve almost every aspect of your site. What Are You Doing to Fix Indexing Issues? If you don’t do site crawl analyses frequently, you might be surprised at how many problems you’ll discover when you make it a regular practice. In fact, you might encounter some serious indexing issues. As this whitepaper explains, some marketers diligently send updated sitemaps to search engines, only to find that Google merely crawls a small portion of the site. In some cases, Google crawls fewer than half of the pages, leaving the rest of the site unindexed. That makes it much more difficult for people to find all of your great content. Fortunately, you can fix many of the most harmful indexing issues if you know how to find and address them. Read “How a Site Crawl Analysis Can Improve Your SEO” to learn these simple steps and get your site’s indexing back on track. 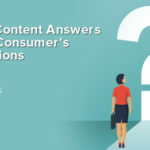 What Kinds of Content Problems Does Your Site Have? Just because your company publishes great content doesn’t mean your site is free of content problems. Even the best websites have issues with duplicate content, but it can be tricky to identify or monitor duplicate content without a site crawl analysis. As you’ll read in the whitepaper, there’s no single magic wand to make duplicate content issues go away. Instead, you’ll learn about a few of the most effective strategies and how to choose the right one for your website. 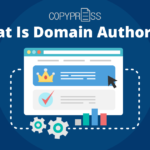 If your duplicate content issues go beyond easy-to-solve internal problems and branch into copyright infringement by external sources, you’ll also learn how to handle this and why it’s so serious for your SEO. What Do You Need to Know About Canonical Mismatches? Your sitemap gives site crawlers the lay of the land, but tags give Google and other search engines more specific directions, ultimately developing a road map. Incorrect tags or canonical mismatches compromise that road map, creating confusion for site crawlers. As you’ll learn in this whitepaper, canonical mismatches can occur for several reasons, but the result is always the same. To make sure your site appears correctly in search results, you’ll have to fix any canonical mismatches that arise. Dig into the whitepaper to find out more about how a site crawl analysis brings these errors to your attention and how you can address them quickly. Are Your Redirect Loops Current? If you’ve ever encountered an endless redirect loop on a website, you know how frustrating it can be. Bad redirect loops can also send Google’s site crawlers in an endless back-and-forth pattern, ultimately coming up empty-handed. With this whitepaper from CopyPress and WooRank, you’ll find out how easy it is to identify redirect issues in a site crawl analysis. You’ll also find out how to fix them effectively so both users and search engines can find the right content quickly. Are You Running Site Crawls Frequently? If you’ve never run a site crawl analysis, it’s safe to say that you aren’t doing it often enough. But what if you only run site crawls once a year? Should you take the time to run them every week? This whitepaper will help you determine how frequently you should run site crawls, based on the size of your site and the amount of content you typically publish. You’ll also find out whether certain events should prompt additional site crawls or if you should conduct a special site crawl during specific times of the year. Can Site Crawls Boost Your SEO? Whether your company conducts frequent SEO analyses or your team tends to be too busy to do them as often as you should, you’ll want to prioritize site crawls. 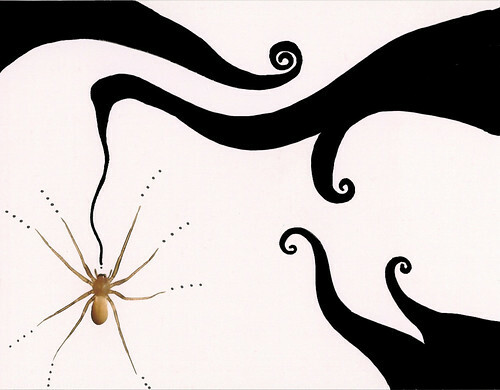 With a straightforward plan and the right tools, site crawls don’t have to be time-consuming. If you make time to do them regularly, you can even catch and address site issues before they have the chance to impact your SEO negatively. Most importantly, this whitepaper will show you just how crucial site crawls are to SEO. You’ll find out how to set a site crawl and error correction schedule, which tools to invest in, and how to track progress as you fix errors. After reading this whitepaper, you’ll understand just how critical site crawls are to SEO, and you’ll know how to implement this strategy to boost your SEO. Ready to get into the nitty gritty? 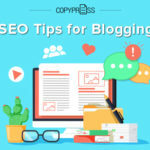 To get a copy of “How a Site Crawl Analysis Can Improve Your SEO,” head over to the CopyPress Content Marketing Resources page. 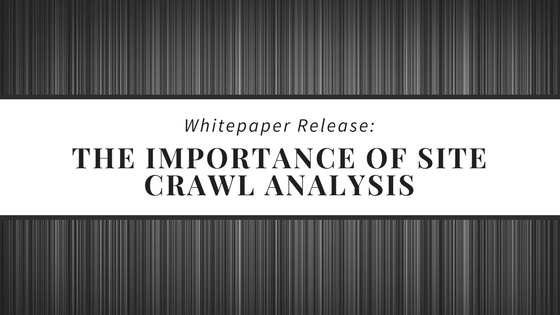 Download this free site crawl analysis whitepaper to get up to speed on best practices, using the right tools, and integrating site crawls and SEO strategy.